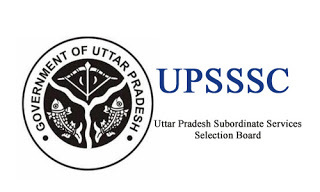 The Uttar Pradesh Subordinate Services Selection Commission (UPSSSC) is the state organization authorized to conduct the various examination for appointments to the various posts.UPSSSC conducts various exams in the Uttar Pradesh. Uttar Pradesh Subordinate Services Selection Commission constituted under the provision of the U.P. Subordinate Services Selection Commission Act 2014. As you already know Uttar Pradesh Subordinate Service Selection Commission invites application for various post. If you have applied for UPSSSC JE examination and waiting for the exam, then you are at the right place. Today we are going to provide you UPSSSC JE Previous Year Exam Paper and exam pattern for UPSSSC Junior Engineer Exam which held on 31 July 2016. 1- General Hindi & English. 2- General Intelligence & Reasoning. #UPSSSC JE Previous year exam paper for civil engineering. Is upsssc je conduct every year ?? ?